The history of the lanterns in Japan is very long. The oldest historical documents we can read now about lanterns were written in the Muromachi period (1500 ‘s). 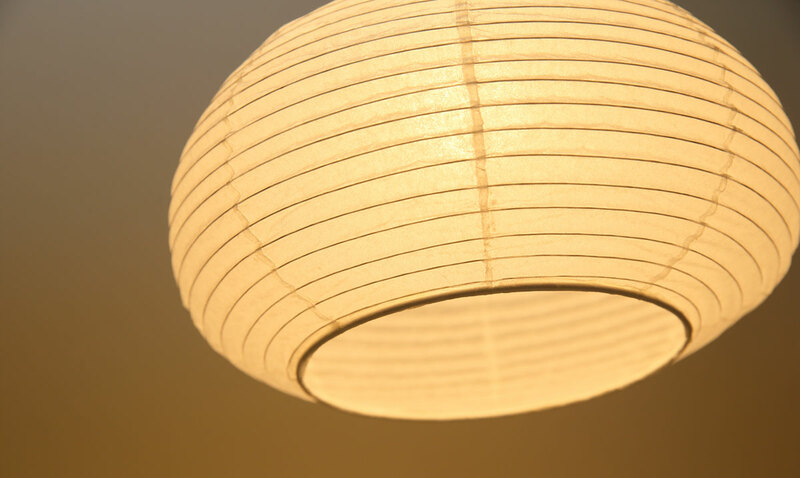 After this period, until the Edo era, lanterns seemed mainly used in the upper class such as the royal family. It is told that lanterns had gotten its popularity among the ordinary in the Edo era because candles have been prevailed and the production cost of lanterns had dropped off in the age. The cornerstone of Gifu lanterns is made around 1750’s, the years of Hoei during the Edo period. In those days, the Mino Japanese paper with white background was widely used. Then people wanted to purchase lanterns with the patterns of the several flowers drawn on the Mino Japanese paper. 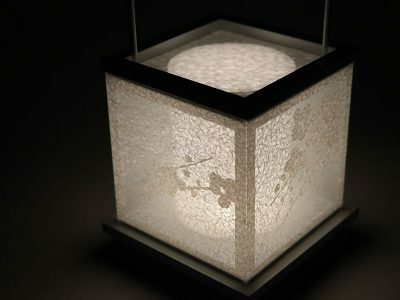 In the late Edo period, Gifu lantern had become famous among only upper-class people who were affordable to buy those that made with the beautiful flowers drawn Mino paper and thin bone. Since then, Gifu Lanterns has been widely spread nationwide as typical lanterns during the Bon festival. 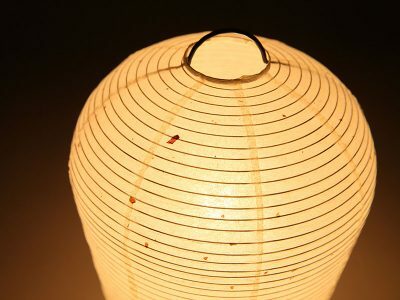 However, the industry of the Gifu Lantern had the decline period after the World War II because of the drastic lifestyle change in Japan. Isamu Noguchi, a well-known global artist with a wide range of fields such as sculpture, painting, landscaping, theater, interior design, gave light to Gifu lantern industry after the war. Simple lighting named “AKARI” without using the word of “lantern”, several numbers of its series had been designed for many years, have become one of the representative of the modern lightning crafts made in Gifu. An endothelial fiber taken from a deciduous tree called “Kohzo” is used as a raw material for the Japanese paper, “washi”. Mino, which located in the center area of mainland Japan, a southern part of the present Gifu prefecture, has long been a high-quality horticultural (including Kohzo) production area. The Japanese paper made in this area is called Mino Washi (Japanese Paper) and it inherits the tradition of Japanese paper production for over 1300 years. A family registry in year of 702 that has been regarded as the oldest Japanese paper in existence owned by Shoso-in Treasure House, a world heritage site, proves the durability of Mino Japanese paper. Mino Japanese paper has excellent features besides its durability, light-weighted, soft, excellent in moisture retention and breathability, and .has been designated as a traditional craft of the country in 1985. 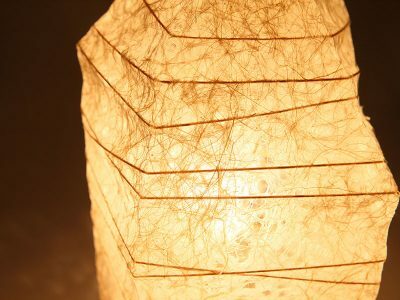 Hayashi Kohgei (Craftwork) is headquartered in Gifu city and produces several kinds of crafts not only lighting but also bags, utilizing Mino Washi. 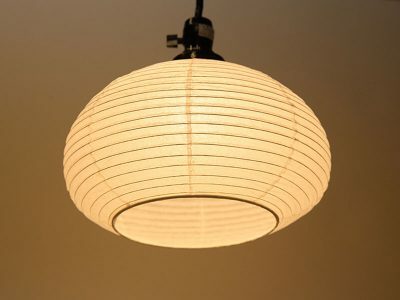 The history of Hayashi Kogei had began with the manufacture of paper products such as “Hi-Bukuro (fire bag)” which is the covering part of lantern. After that, it has expanded to subcontract manufacturing of lighting and production of self-designed Mino Japanese paper crafts. Mino Japanese paper craftworks of Hayashi Kogei surprisingly do not make us feel them “old-fashioned”, a feeling which may often imagine when we hear the word of “craft”. It rather feels us them modern and/or stylish and they match for the present westernized lifestyle. To that proof, their Paperstone series received the honor of awards in numerous contests such as the Design Contest Gifu Grand Prix award (1997), the Good Design Award (2001), the Tokyo International Furniture Fair Award Special Award (2003-2004). Please enjoy crafts from Hayashi Kogei with its wonderful texture of Mino Japanese paper and forest craftsmanship technology.